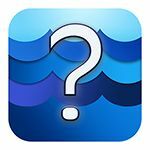 EPA will be hosting a free webinar on April 23 from 1:00pm- 2:00pm Eastern Time to detail the new enhancements to How's My Waterway, a mobile friendly website that enables users to easily access water quality information for their local lakes, rivers, and streams. The mobile friendly website has proven popular with the general public and more technical users alike because of its plain-English approach, map and list formats, simple design, and rapid retrieval of local-scale information. The enhanced version includes, among other things, drinking water source protection areas, watershed information, information on local permits that limit pollutant discharges, and National fish habitat partnerships to restore waterways to protect and improve fish habitats. EPA water scientist Doug Norton, who developed How's My Waterway, will discuss the new enhancements and provide practical examples of how the tool can be used by various audiences. Visit How's My Waterway or register for the webinar here.